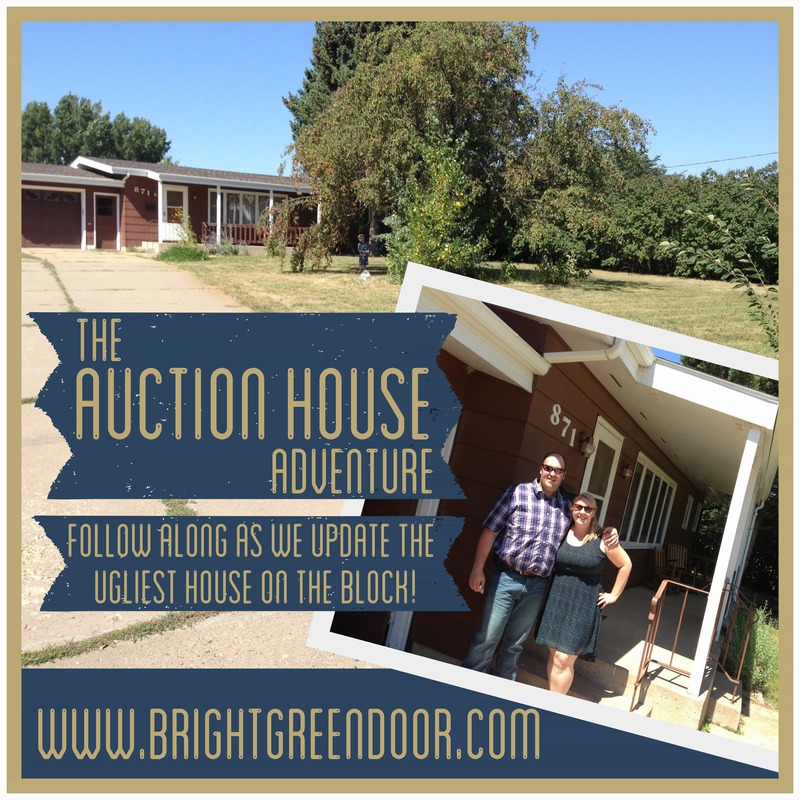 Today’s post has no pin-worthy images, the images are even cropped or edited. 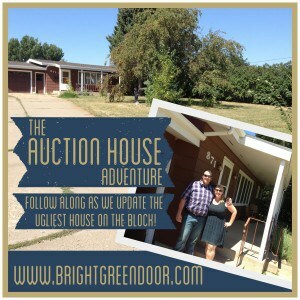 Today’s post is me sharing what we’re up to, and showing that progress isn’t always pretty. 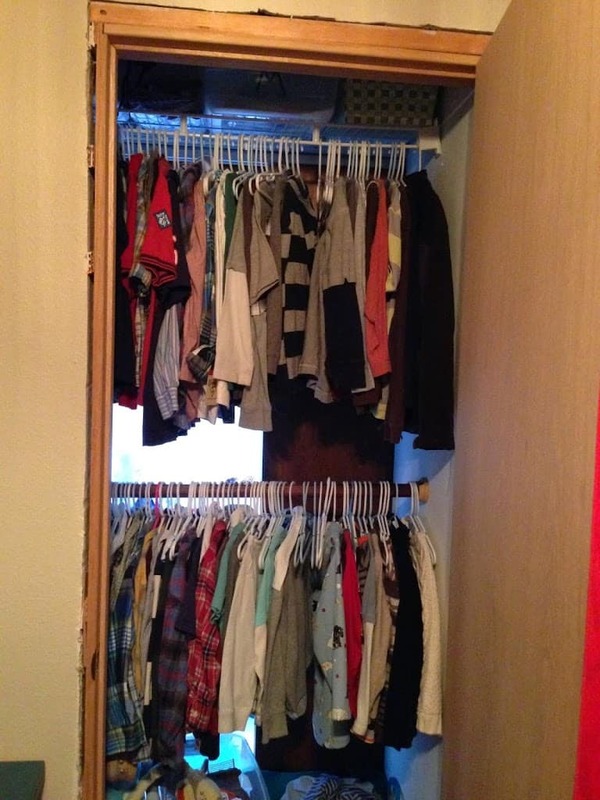 Here is what the boy’s closet looked like in all it’s glory. Overly full, no trim, sagging top shelf (poorly installed by yours truly), and no back wall with a direct view into the “girl room”. Occasionally in the middle of the night the boxes on the top shelve would slide right off, crashing loudly and scaring us all half to death. 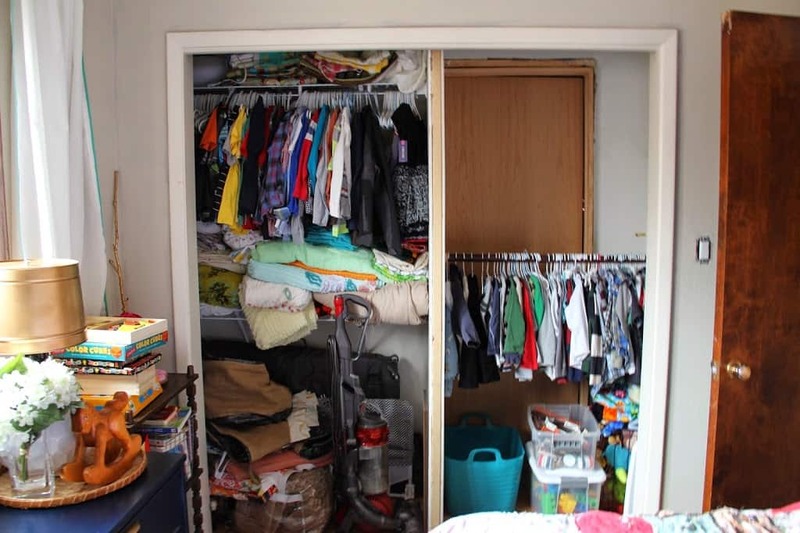 Here is what the girl’s closet looked like. Much worse than the boys. 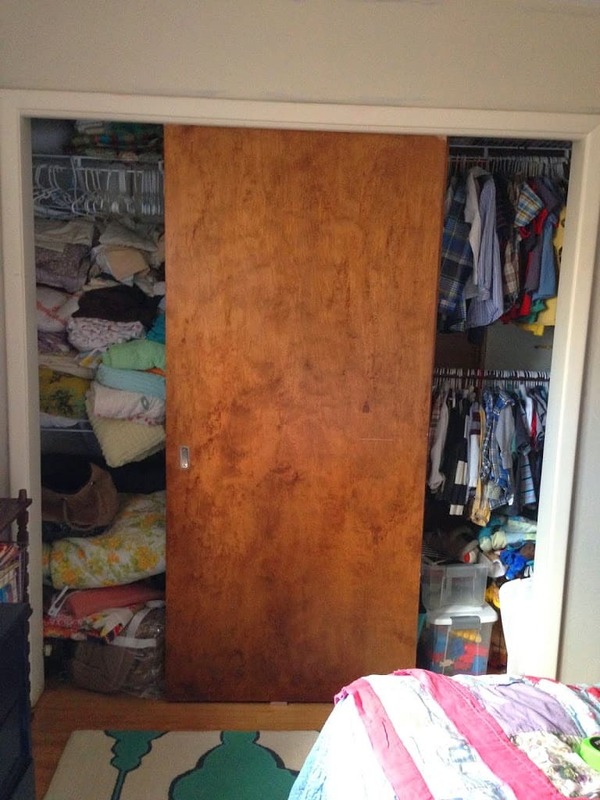 At some point the boys closet was stolen from space in the girl closet, but the job was never finished. It was stuffed to the gills, had sliding doors that no longer slid, and if you could even see to the back of it you would see the 4 different colors of paint along with very damaged drywall. After 7 months of living here I decided to do something about it. First I removed the old “sliding” doors, track, and trim. Next we framed a wall for the back of the boys closet/front of the girl closet which I was so absorbed in that I completely forgot to take pictures. Then we installed a new pre-hung five panel door. This is where things got real. Hanging our first pre-hung door was not as easy as Google told us it would be. Installing the door involved Matt shutting me into the closet with a drill while he shimmed it from the outside. Now matter how level it seemed the door wouldn’t stay open and wanted to close itself. 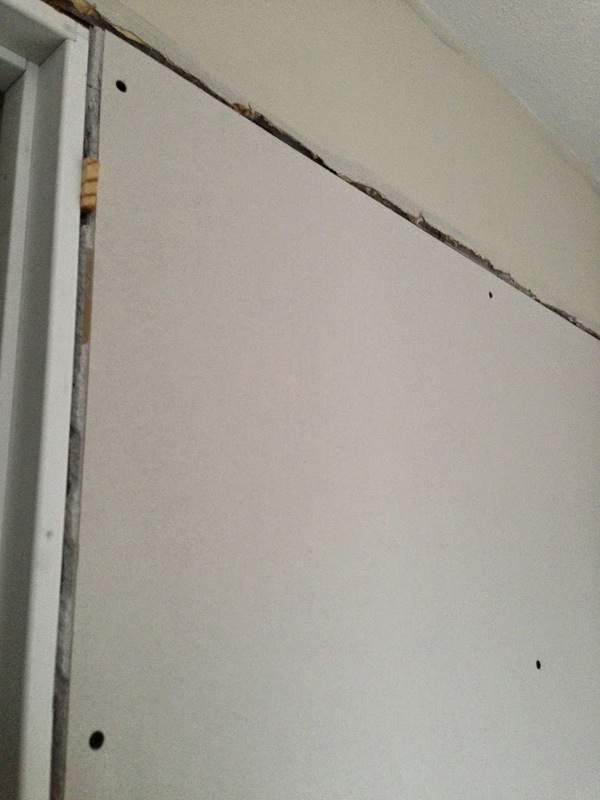 Then we also realized that the old drywall and the new drywall weren’t even, forcing us to remove the drywall and shim that too. 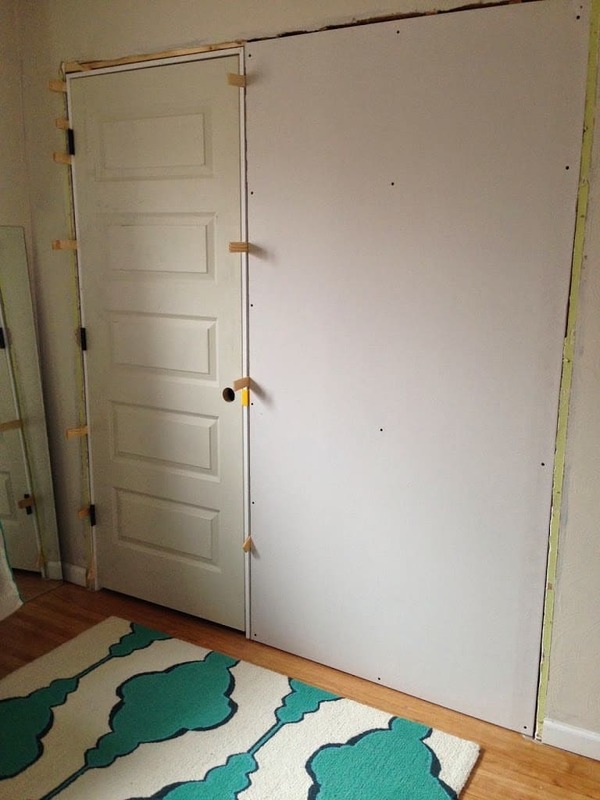 Eventually after sleeping on it for a night, coming back refreshed, switching a few hinges, and shimming one hinge the door is now level and the drywall is even with the old wall. 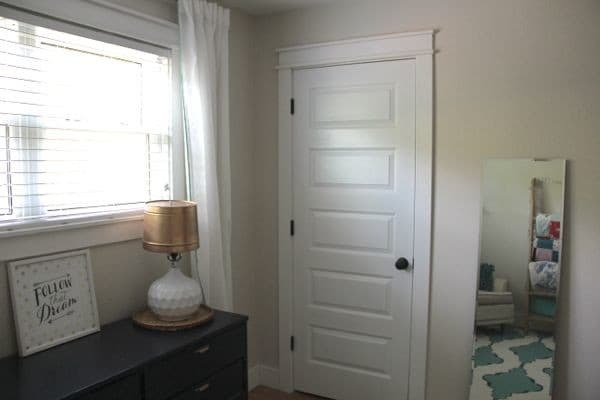 The entire girl room has a terrible texture on the walls, so in order to get the new wall to match we are going to have someone skim coat the whole room. 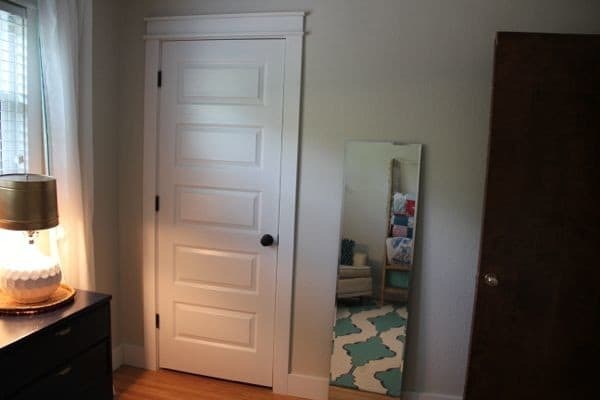 Then we’ll paint, trim, and you’ll never know the terrible “before”. 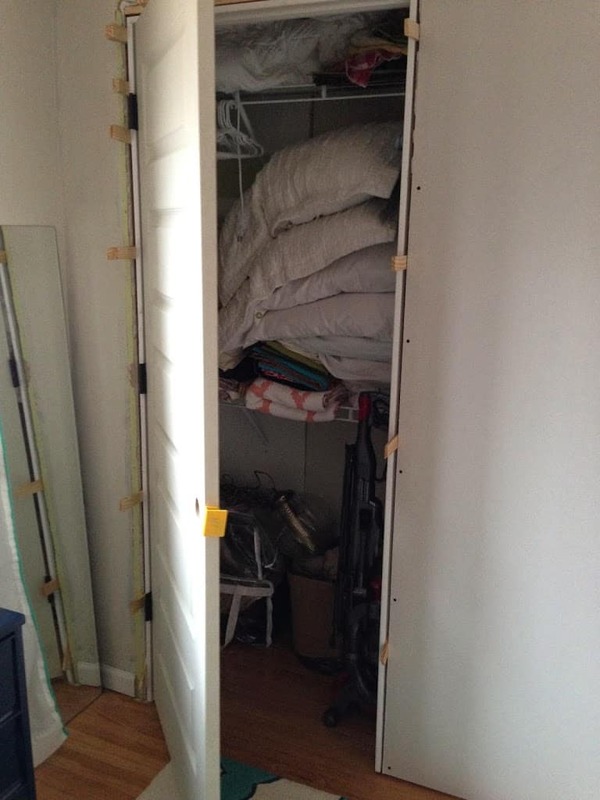 That folks, is me keeping it real- closet construction style. 6/1/14 Update: Because we live in a boom town where hiring out anything is nearly impossible, I ended up taping, mudding, and texturing the room! Then we were finally able to trim out the closet finishing the project. I love this door so much I can’t wait to put these throughout our house. Until then I’ll just come in here and stare at this one.